A stoppage time overhead kick from Curtis Tilt rescued Blackpool a point as they came from two goals down to draw with Plymouth Argyle. 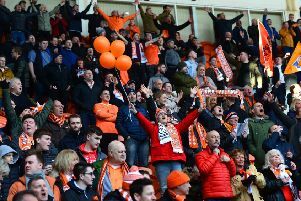 The centre back sent the Bloomfield Road faithful into raptures in the 92nd minute when he acrobatically found the bottom corner of the Argyle net. It came after fellow defender Marc Bola had pulled one back for the Seasiders just five minutes from time with a low volley. Plymouth had appeared to be cruising to the three points thanks to a laboured display from Blackpool. They edged ahead after just four minutes, before doubling their lead in the second half. But Terry McPhillips’ men, who had struggled to create clear-cut chances all afternoon, saved all the drama for the death as they snatched a point. Despite the positive end to the game, it leaves Blackpool six points behind Doncaster Rovers in sixth with just six games left to play. It also means the Seasiders have still only won one game at home since the start of December. McPhillips opted to name the same side that performed so well in last week’s 4-1 win at Bradford City. There was no room in the squad for Jordan Thompson, who was left out despite returning from international duty with Northern Ireland. Ollie Turton, Donervon Daniels and Callum Guy were not risked, while Mark Howard, Jimmy Ryan and Max Clayton remain long-term absentees. It was a nightmare start for Pool as they found themselves going behind inside the first four minutes, Freddie Ladapo the man to find the back of the net for Plymouth. It was made all to easy for the visitors to carve Pool open, Ruben Lameiras given all the time in the world to take the ball down and square it to Ladapo who diverted the ball beyond Christoffer Mafoumbi from six yards out. Blackpool initially struggled to produce a response, failing to create an opportunity of note until the 21st minute. That came via Antony Evans, who burst into the box only to see his low drive saved by Plymouth keeper Matt Macey. A minute later Evans was again in the thick of the action, sending his looping header towards goal from Marc Bola’s cross only for Macey to collect again. The visiting side were content to sit on their lead and defend in numbers, but when they got the opportunity they broke at speed. That’s what happened when they capitalised on Jay Spearing’s wayward pass, countering at pace before Lameiras saw his low shot bobble just past the post. Only half chances were coming Pool’s way, Matty Virtue failing to repeat his 25-yarder at Bradford with a drive on his left foot which again failed to trouble Macey. 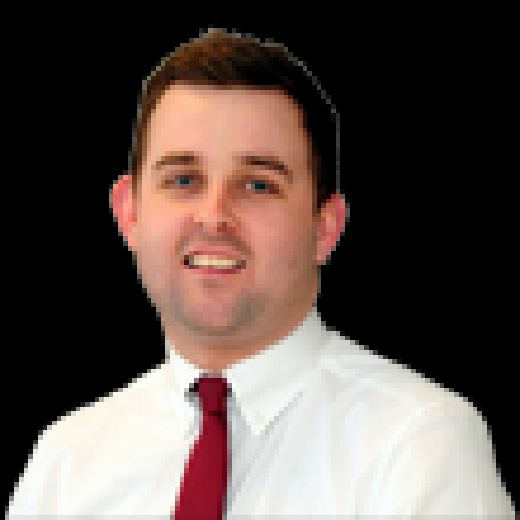 Too often Blackpool were guilty of attempting to play intricate, narrow football in the centre of the park, when getting the ball out wide proved so effective at Bradford last week. The second half started in the same pattern as the first, Pool again being cheaply dispossessed allowing Plymouth to attack, with Antony Sarcevic the man to drill wide of the Blackpool goal after catching Spearing on the ball. Plymouth remained comfortable, keeping Blackpool at arm’s length with considerable ease while looking a threat themselves on the break. Ben Heneghan was called into action to make an inspired block to stop Jamie Ness’ goalbound effort. With 20 minutes to go, McPhillips made a double change in a desperate bid to turn the game on its head - bringing Nya Kirby and Chris Long into the fold and reverting to the diamond formation. But within a couple of minutes the visitors doubled their lead, centre back Ryan Edwards climbing highest from Graham Carey’s in-swinging free kick to nod home into the bottom corner. Virtue almost pulled one back for Pool with 12 minutes remaining, lashing just wide after Armand Gnanduillet had chested it down into his path. The visitors came within a whisker of adding a third when Graham Carey smashed a brilliant free kick onto the Blackpool post, with Mafoumbi somehow managing to get a fingertip to his effort. At the other end, Gnanduillet scuffed wide of the near post from Bola’s left-wing cross. But a minute later, Bola hauled Blackpool back into it by reducing the deficit to a single goal. It appeared as though nothing was on for the left back when the ball fell to him 25 yards out from goal, but he hit it first time on the volley on his weak foot, with his effort flying into the bottom corner of the Plymouth goal. And in the second minute of stoppage time, Tilt rescued a point for the Seasiders in the most dramatic of circumstances. Substitute Nya Kirby hooked the ball back into the dangerzone and it hung up nicely, but Tilt still had it all to do. But you wouldn’t have known it, as the centre back sent an acrobatic overhead kick into the far corner of the Plymouth net.